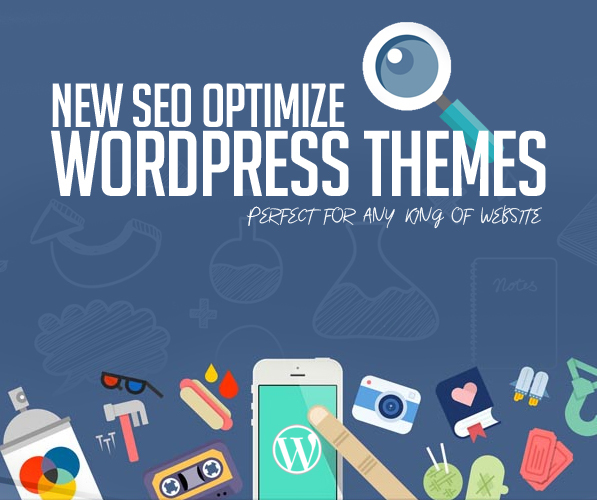 Build your website with fully SEO optimized, Responsive WordPress Themes. All WP themes are based on Bootstrap framework and HTML5/CSS3 technologies, with creative design, clean and elegant, professionally coded with lots of customized options. These WordPress themes are perfect solution for any type of business, particularly indicated for creative freelancers, smart companies or innovative, startups, freelancers, designers, photographers, illustrators, bloggers, digital studios or web agencies. This is a collection of professional, easy to use, highly dynamic, engaging and responsive WordPress website themes. All themes are SEO optimized for smartphone and tablets, its provides a clear documentation and no coding knowledge is required. Below every theme is ready to use, you can check live demo of each theme. Recent – a premium WordPress theme developed specifically for magazine and streamlined blog websites; coded with site performance in mind. You can earn money via multiple, dynamic ad sections or create/write product advertising posts (with affiliate links). OCTA is a Responsive Multi-Purpose WordPress Theme built using HTML5/CSS3 features and suitable for creative companies, agencies, and freelancers which need a professional way to showcase their projects, services, and sell their products. League is a pixel perfect creative responsive multi purpose WordPress Theme based on Visual Composer & designed with great attention to details, flexibility and performance. It is ultra professional, smooth and sleek, with a clean modern layout. League specially designed for agency, freelance, blog, Studio, Small Business, Creative Agency, portfolio, photography, corporate, restaurant, petcare, finance firms, consultants, SEO agency, construction company, marketing agency, health care and ecommerce shop. VG Pomer is responsive modern and luxurious WooCommerce WordPress theme designed especially for perfume store and all sorts of online cosmetics shops websites. VG Pomer is 100% responsive that automatically adapts to any possible screen resolution of all mobile devices, displaying all the content in the best way. Celebrate Software, App, Startup Business Theme is crafted to meet the needs of Software, App, Startup as well as Tech Industry. Theme is easy to setup & customize. OneMax is a design studio that specializes in WordPress design for brands of all sizes. We can help you create a modern website that will impress your customers and help you win in your business. Nivo is a Responsive WordPress (Desktop, tablet, mobile phone…) simple, clean and Professional theme. It comes with Pages, Awesome Slideshows, Color Variations. Easy-to-customize and fully featured design. This theme suitable for Company, Business, Blog and Portfolio and doctors, dentists, hospitals, health clinics, surgeons and any type of health or medical organization much more. Create Outstanding Website or Blog in Minutes! OZUN is a Modern, Unique and Multipurpose WordPress Theme for Creatives which suits any kind of Corporate Company website. Financial King is a finance & business WordPress theme. It is specially designed for Business, Financial Advisor, Accountant, Law Firm, Wealth Advisor, Investment and general corporate website. This theme comes with super powerful page builder which allow you to create your site using drag drop ability. Its The Perfect Finance, Consulting & Business WordPress Theme. WowMall WordPress Woocommerce theme is definitely.We have carefully combined each & every demo to ensure that a clean and modern design is provided to our customers. Easy to configure and customize in the admin panel. You can mix different content blocks and set predefined structures. Only trusted schemes checked by years of ui experience. GRANT – NONPROFIT CHARITY WordPress Theme is specially design for non profit organization such as charity, child care, orphan, lorn etc.. We hope you can build your site so much easy way without any hassle. PersonX is a clean & minimal personal portfolio & blog theme, PersonX is suitable for individual’s, freelancers, graphic designers, photographers or any kind of creative institution or person.